The Krzyk Theatre was created in 2002 in Maszewo (a town in the Zachodniopomorskie Voivodship, Poland). Its founder was Marek Kościółek. The permanent line-up is: Anna Giniewska, Mateusz Zadala Marcin Pławski and Lena Witkowska. An important aspect of the group’s activities is social work in communities with limited access to culture. The actors conduct and partake in workshops in Poland and Europe. Research excursions and international projects are an important aspect of the theatre’s of artistic explorations. 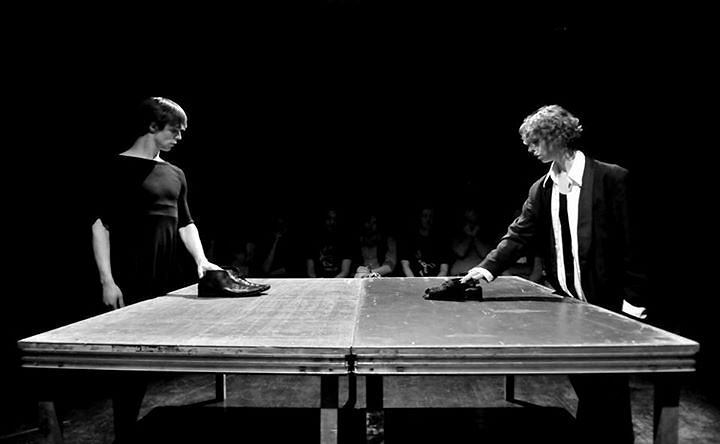 Apart from artistic work, 2007 saw the creation of the Krzyk Theatre Association (Stowarzyszenie Teatr Krzyk), which organizes two festivals – The Polish Theatrical Feast (Ogólnopolska Biesiada Teatralna) “Wejrzenia” and Polish Young Theatre Meet-Ups (Ogólnopolskie Spotkania Młodego Teatru) “Krzykowisko”. A significant part of the association’s activities is comprised of artistic-cultural projects, realized in cooperation with theaters of the West Pomeranian Theatrical Offensive.